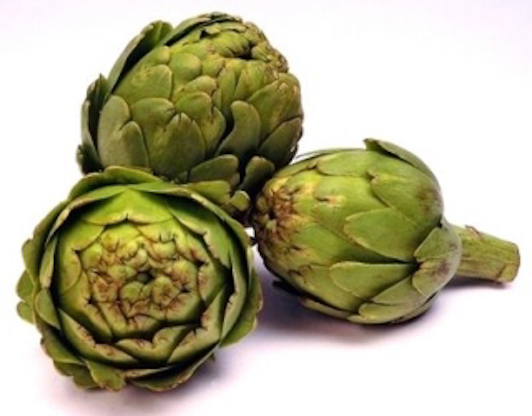 The use of artichokes has been implicated in the lowering of cholesterol levels in the blood. Since hypercholesterolemia is one of the risk factors for high blood pressure, this information is actually good news. Three clinical trials conducted separately by Dr. Barbara Wider supports this fact. In Cochrane Database of Systemic Reviews’ October 2009 issue, where the result of the study was published, it was shown that patients who were diagnosed with hypercholesterolemia and given Artichoke leaf extract exhibited a decrease in their blood cholesterol levels. Artichokes taste amazing steamed (generally steam for about 1 hour) and then dip each piece into a mixture of olive oil, grass-fed butter, and garlic. Delicious! A study published in The New England Journal of Medicine says that incorporating bananas in your day-to-day meals can actually cut stroke-related deaths by as much as 40 percent. A 1997 study at Johns Hopkins University recommended eating at least five bananas daily to achieve the desired effect, and that is to lower elevated blood pressure levels. However, a study conducted by Indian researchers at the Kasturba medical college revealed that people who eat two bananas a day, for one whole week, can lower their blood pressure levels by 10 percent. Bananas are rich in potassium, which is responsible for the proper functioning of the heart. It works with sodium to maintain balance of the body’s fluids, which is an important factor in the regulation of blood pressure. A research study conducted by scientists from Barts and The London School Medicine revealed that simply drinking one 500 ml glass of beetroot juice each day can produce astounding health benefits, especially to the heart. Beetroot juice has been found to lower high blood pressure levels. Professors Amrita Ahluwalia and Ben Benjamin, from the William Harvey Research Institute and Peninsula Medical Center, respectively, led the research efforts, which revealed that the consumption of dietary nitrate that is found in beetroot has BP-lowering effects in as fast as 1 hour after ingestion, with the effect lasting for up to 24 hours. The result of the study was published in the March 2008 issue of Hypertension. You can try beetroot juice, or also try baked beets sliced on salads or as a side dish to dinner.